Fiat Chrysler Automobiles ahead of CES today announced the fourth-generation of its Uconnect infotainment automobile system, which will bring Apple CarPlay support to select cars manufactured by the company in 2016. The Uconnect system uses an 8.4-inch touch screen for users to interface with various Chrysler, Dodge, and Jeep models and control music, navigation, and phone calls. 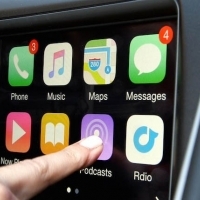 CarPlay will allow FCA customers the ability to sync an iPhone to their vehicle and gain access to their music library, contacts list, navigation settings, and text messages all from the existing Uconnect touch screen. Besides CarPlay support, the 2016 update to UConnect will bring along a capacitive touchscreen, speedier startup times, enhanced processing power, heightened UI response, and better resolution and brightness. In addition to Apple CarPlay, the fourth-generation UConnect system will support Android Auto for non-iOS users. 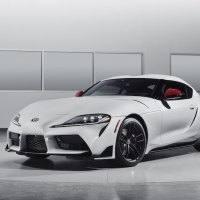 With today's announcement, FCA joins a host of car manufacturers that are introducing CarPlay support in some of their latest 2016 models, including Chevrolet, Honda, and Ford.